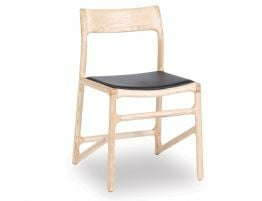 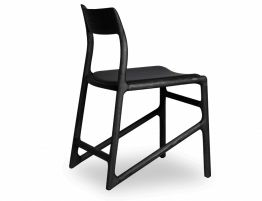 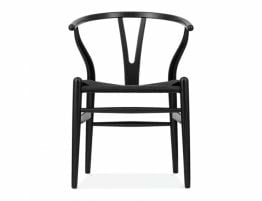 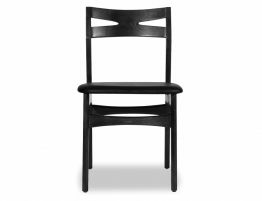 The Nora Scandi Timber Dining Chair is crafted in Black American Ash at a commercial grade with a slick super comfy Black Padded seat. 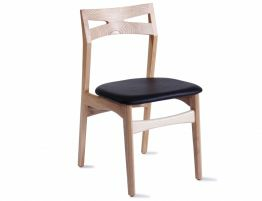 The nora has a unique appeal with its fine light, almost airy designed lines and angles, even from the back. 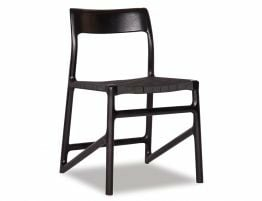 Its a very modern, minimal look that stands out from the average just perfect for that favorite gathering area, or likewise a commercial project or break out area. 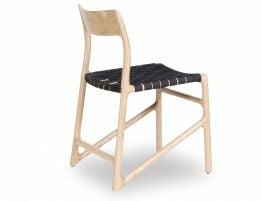 The Nora will really leave an indelible impression in any space that wants to create a very unique contemporary appeal.